Ari is isolated with a one-year-old son in a decayed upstate New York town. Then Mina appears, pregnant and alone. Suddenly there is the possibility of connection, and soon the two are comrades-in-arms, navigating the hostile terrain of new motherhood together. Acclaimed for its insight, outrageous humor, and power to spark fierce debate, After Birth is a daring and transformative novel about friendship, history, and the body. ELISA ALBERT, author of The Book of Dahlia and a collection of short stories, has written for NPR, Tin House, Commentary,Salon, and the Rumpus. She grew up in Los Angeles and now lives in upstate New York with her family. One of NPR's "Best Books of 2015"
An Electric Literature "Best Novel of 2015"
One of HelloGiggles's "23 Books from 2015 You Absolutely Must Read"
One of Brooklyn Magazine's "12 Best Books of 2015 that Didn’t Get Enough Attention"
One of Publishers Lunch's "Favorite Books of 2015, From the News Editor"
"Albert's scathing send-up of modern motherhood boils with dark humor and brutal honesty." "A smartly acerbic exploration of motherhood." "Elisa Albert's take on birth, motherhood and female relationships is the antithesis of the treacly cliches that so often surround these well-trod subjects. Her story is messy, devastating and raw — deeply felt and deftly told. Through the experience of Ari, a hard-core feminist party girl/academic, Albert explores the most difficult part of becoming a mother: the eclipsing of your identity and relationships, and the struggle to find your footing in a completely new world. It will leave you marveling at the power women have to survive, to break each other's hearts and, when we're lucky, to rescue one another." —NPR, "Our Guide To 2015’s Great Reads"
"[A] wonderful primal howl of a novel." "An entertaining take on the vicissitudes of female friendship"
"After Birth roars with the anger of betrayal. Albert is abrasive and sharp, intelligent and painfully real. There is no room for gentleness in her novel, no time to waste looking for a kinder way of speaking. [It's] looking for a fight, it’s unladylike, it’s pissed off, and it’s going to tear everything you thought about birth and motherhood to shreds." "Albert [has a] light touch, comic timing, and [an] ability to move effortlessly between registers...After Birth is a political novel, and a feminist novel. It’s full of anger and frustration and heartache. It is also hilarious and entertaining...fresh and daring." "Albert’s novel is an unflinching look at the trials and tribulations of new motherhood, yes, but also the realities of being a woman and the attendant never-ending quest to find a place in a society that doesn’t want to make room for us on our own terms and it is as much a story of heroism and personal maturation as is Crane’s classic. It is easily one of the best books of this year, and, really, any other." —Kristin Iversen, Brooklyn Magazine, "The 12 Best Books of 2015 that Didn’t Get Enough Attention"
"Anyone who's just had a baby absolutely needs to read this." "A tour through the often overlooked realities of motherhood, friendship, and the days of riot grrrl, Elisa Albert's novel is the antidote to the crippling expectations of society on women." —Sarah Galo, Bustle, "2015’s 25 Best Books, Fiction Edition"
"I am helpless with love for Elisa Albert’s work. Something about her voice and her style, not to mention her subject matter, just does it for me in a way no one else’s books do, and I’ve been salivating for years for her to come out with another one...Albert is great on the darkness at the heart of all kinds of hallowed intimacies, and even when you’re gasping, appalled by the narrator’s pinched, cruel worldview, you’ll never stop reading." "As sharp as a fresh-cut diamond...Bright, angry, very funny, diving into uncomfortable truths about the female body and female behavior, this novel has it all." 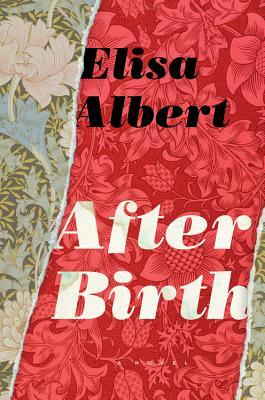 —Flavorwire, "10 Must Read Books for February"
"Elisa Albert’s book, After Birth, is very easy to fall in love with. Because it’s not just about motherhood, and birth, and family. It’s also about friendship and jealousy and feeling like you’re not sure whether you belong somewhere. A feeling almost all of us have felt at some point or another." —HelloGiggles, "23 Books from 2015 You Absolutely Must Read"
"Albert turns her now-trademark dark humor and merciless lens on the first chapters of life from the perspective of a new mother, and the result is a perfect balance of light and dark...[Her] writing excels." "In lesser hands, Ari might be unlikable, but Albert imbues her with searing honesty and dark humor, and the result is a fascinating protagonist for this rich novel." "After Birth is a voluptuous, hilarious, scaldingly and exhilaratingly honest account of new motherhood, emotional exile, and the complex romance of female friendship. I'm a huge Elisa Albert fan, and in her latest she has perfected a tonal pivot that whips the reader from laughter to revelation in a sentence." —Karen Russell, author of Sleep Donation and Swamplandia! "After Birth is a fast-talking, opinionated, moody, funny, and slightly desperate account of the attempt to recover from having a baby. It is a romp through dangerous waters, in which passages of hilarity are shadowed by the dark nights of earliest motherhood, those months so tremulous with both new love and the despairing loss of one's identity—to read it is an absorbing, entertaining, and thought-provoking experience." "Bukowski wrote that he preferred people who scream when they burn, and nobody burns, or screams, like Elisa Albert—a fiercely intelligent, dark and funny woman unafraid of her own anger." "Ari is the profane, generous, poetic, desperate, loving, terrified best friend we all hope for. Sleep-deprived and thrumming with the electricity of new motherhood, she stumbles upon pockets of community and support in places expected and unexpected that cut through her small-town isolation and the clutch of post-partum depression. Elisa Albert wields humor like a blade in relaying Ari’s thoughts, and is a master of conveying the gorgeous struggle of birth and all that comes after." "WOW! Albert's novel rips the lid off what it is really like to be a new mother in today's United States. Ari, our narrator, is the mother of a 1 year old boy, and she is still having trouble settling into or even defining the role of "mother." Giving birth by C-section makes her feel like a failure, and the snide comments made about breast-feeding by her husband's colleagues at faculty events inspire homicidal thoughts. Not so much a novel as a hyper-articulate rant about society's commodification of childbirth and maternity, After Birth will have mothers (and others) talking long after they've finished this provocative call to arms." "Albert says everything women think, but don't say, unless they are speaking to their best friend. I laughed out loud. A lot. As a mother of two, I loved how she explored this time, after the birth of a first child, with bare-bulbed honesty and an acerbic wit that gave way to humor around nearly every turn. This is the first book I've read that does this after birth period justice, and I've already recommended it to new, as well as more established, mothers." "With honesty, wit and a cool eye Elisa Albert reveals the day-to-day lonely howl of new motherhood in "After Birth". Where is the community of women that might empower and support a new mom? This is a book that I would like to put in the hands of all mothers, sisters, daughters, and friends who ask this questions and say, 'Right in here.'" "After Birth is a literary manifesto of modern motherhood - of the struggles women face without the communal support and traditional wisdom that women received before the onset of modern obstetrics. It is about the ways in which women choose to embrace one another or tear each other down. Narrated by Ari, a woman whose own mother was cold and distant and died young, has no women to turn to after her son is born by C-section and she finds herself living in an unfamiliar body and an unfamiliar life. Ari's voice is strong and fearless, even in her most vulnerable moments. She grabs hold of the reader, demands to be heard."